Working out of a studio in Oregon, Chris Hawthorne has become internationally recognized for his large and colorful, loosely-handled blown glass artwork. His casually elegant forms exemplify masterful skill with this plastic medium. 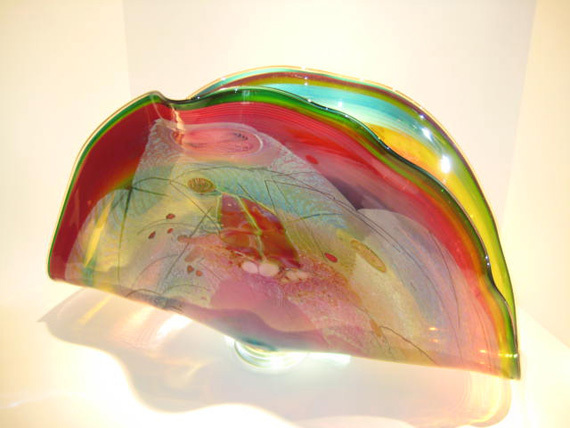 The spectrum of colors and optical effects possible when working with glass occupy his artistic exploration. To better showcase his mastery of the numerous metallic oxides that blend together to make up his palette. Chris has flattened his vertical forms creating planes like stretched glass canvases. Also he has blown out large open glass bowls which blend in equal proportions the concerns of the sculptor and the painter. In each work it is this perfect harmony of color and form the distinguishes his vessels.Through a mutual friend, he met Dale Chihuly, who invited him to further explore the medium. 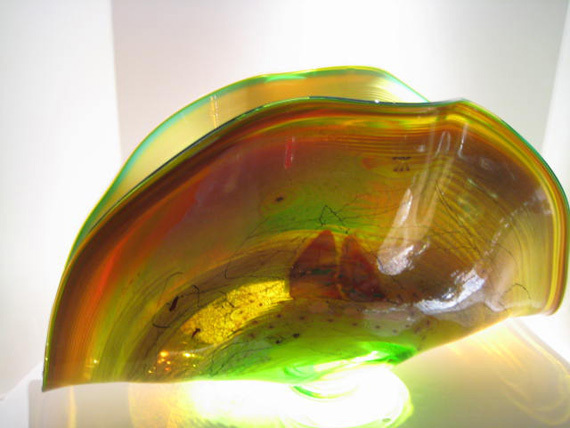 His teachers included Dan Dailey and Lino Tagliapetra, who supported his efforts to develop a colorful and painterly approach to glass sculpture at the Pilchuck Glass School.